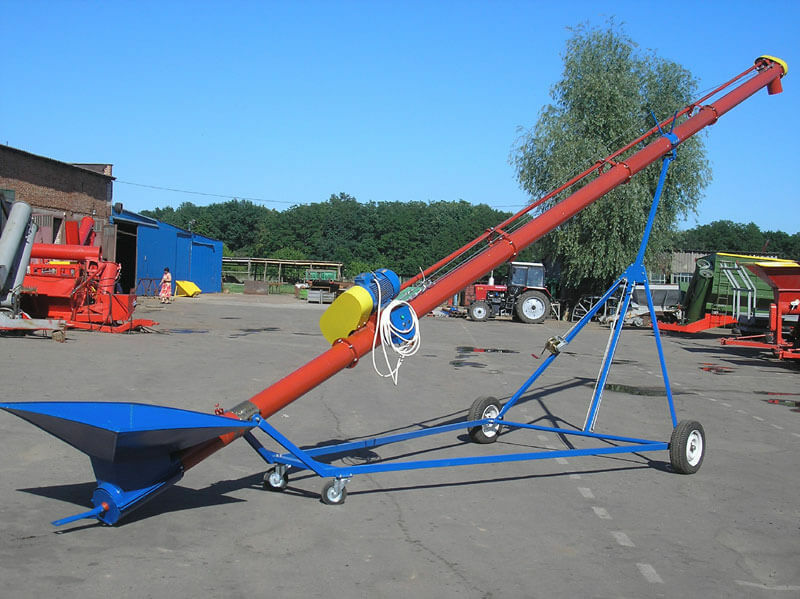 SSH is a grain conveyor with an electric motor and an adjustable angle of inclination. 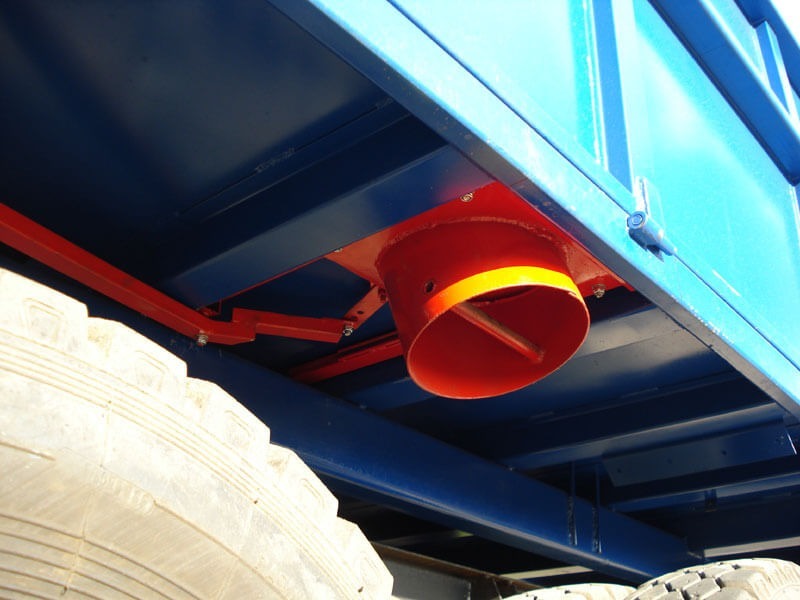 The angle of inclination and height ban be changed with the help of a winch. 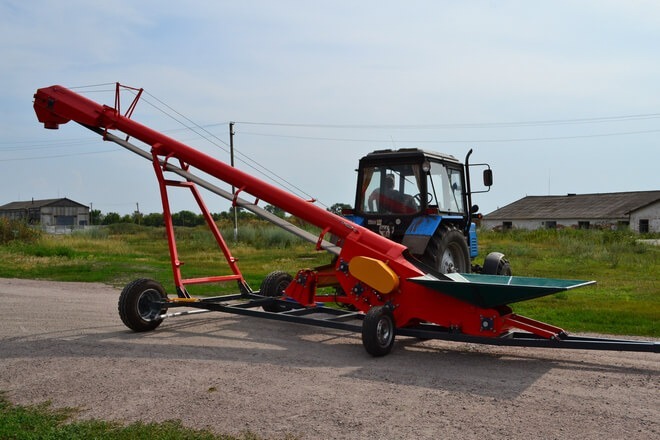 The auger is made of 2 mm thick steel, covered with corrosion-resistant paint, and the parts of the auger are up to 2.5 m long and connected by bolts (no intermediate supports). The receiving bunker has an aperture of 1000x1000 m, with a height of 700-900 mm. 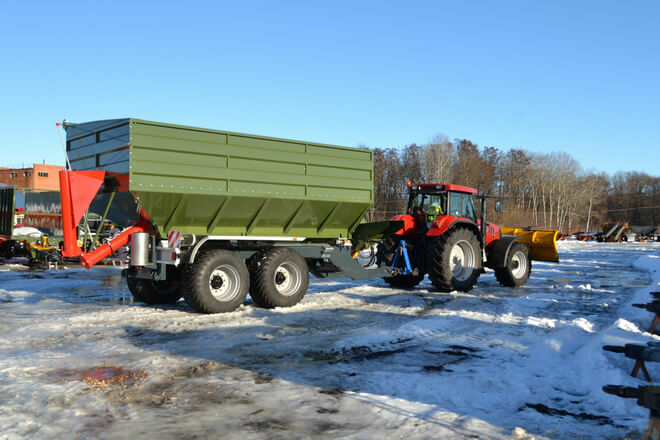 It is also possible to install a 2500x1200 mm bunker. Possible lengths, capacities, and gauges of the auger for different angles are given in the table below, where H1, H2 and H3 is the height of the grain conveyor from the ground, and S1, S2 and S3 is the length from the support wheels to the top of the pipe. 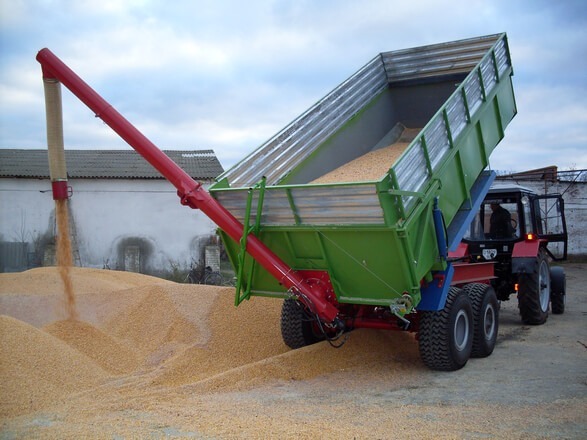 GRSH is a hydraulically positioned grain conveyor attached to the rear of a trailer or box. 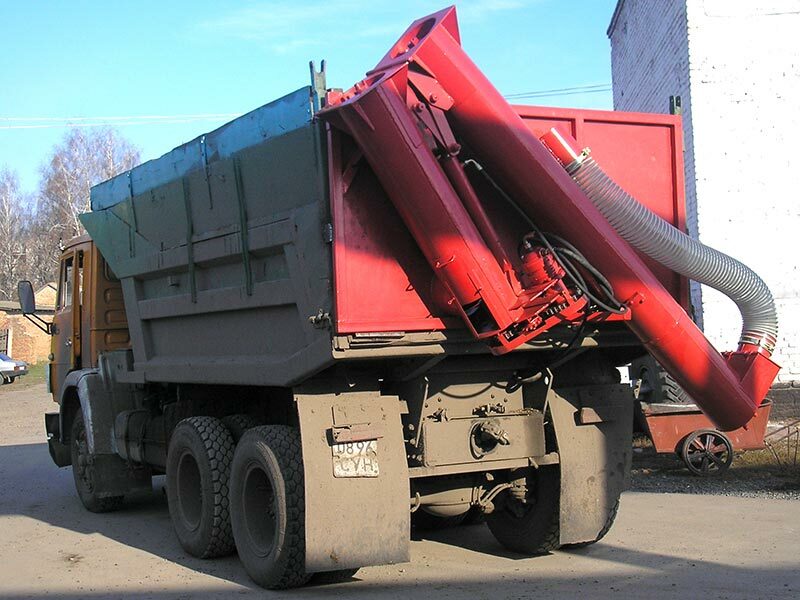 GRSH is intended for reloading grains, mineral fertilizers and dried fodder. 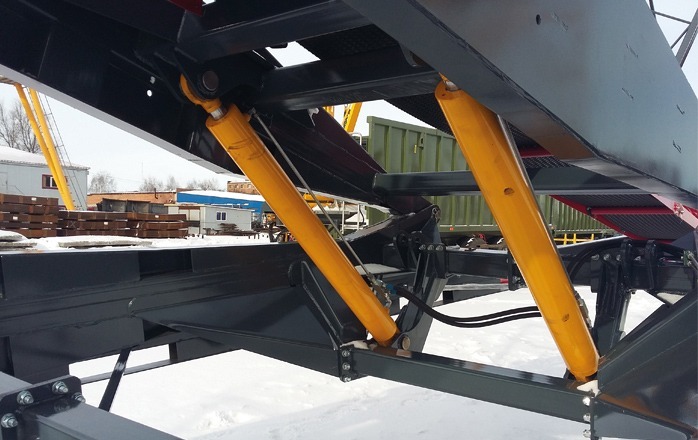 The NBSH is a conveyor belt that can be attatched to the frames of side dump trailers - by tilting the trailer, the conveyor’s position does not change. 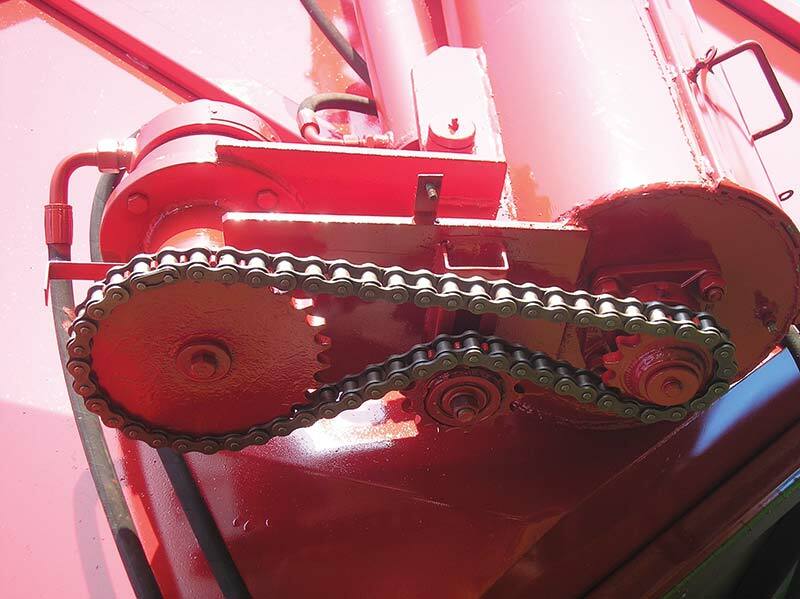 The conveyor is coated with an anti-corrosion paint and a single steel sheet is used to form the screw. The conveyor is driven by the truck’s hydraulic system and a hydraulic motor and, in the transport position, the conveyor is located in the truck's box and the conveyor’s holding device on the side of the box. 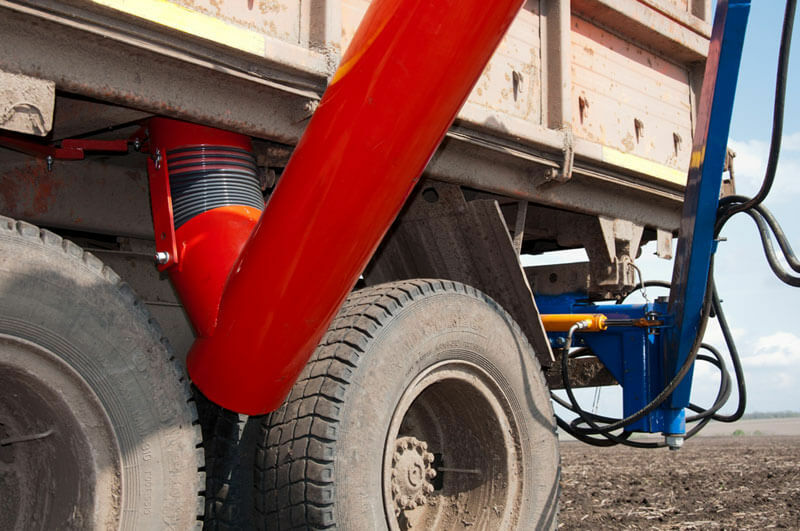 The set includes a frame mount, a hydraulic holder and 2 directional hosepipes. 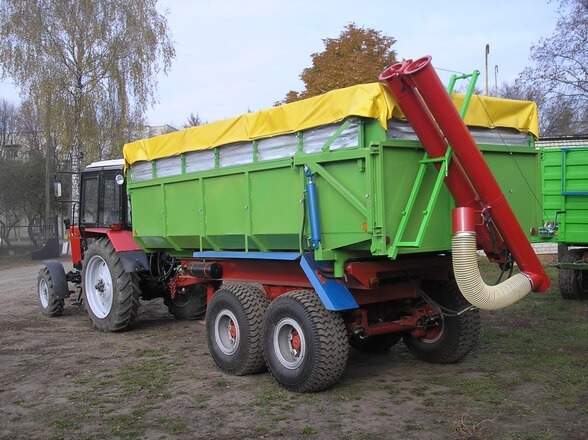 The seed treater is a trailer attachment that allows seeds to be treated with different chemicals. The screw is rolled and has a working life of at least 50,000 tons. Depending on the angle of inclination, the device has a capacity of 200-600 kg / min (12-36 t / h); the angle of inclination (0-60º) is changed by a winch. The chemical tank is 100 liters and made of stainless steel. 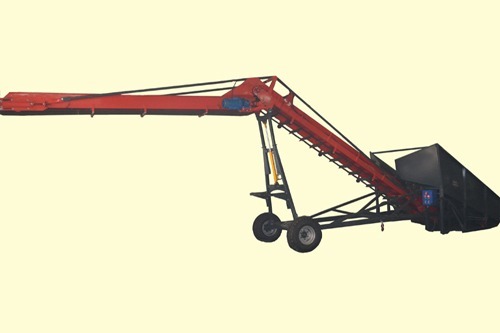 The belt conveyor is intended for loading grain and granular fertilizer. 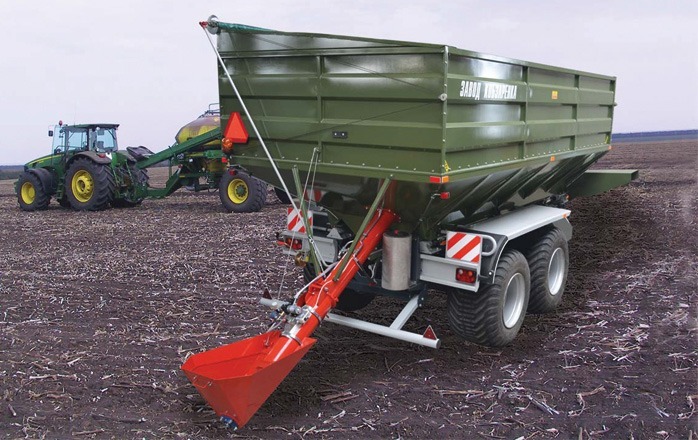 The wheels of the device frame can be hydraulically rotated 90º. Optional accessories include a cardan for the CH-250 / 8.5; towing hitch for transport or working position, hydraulic lifting of the pipe. 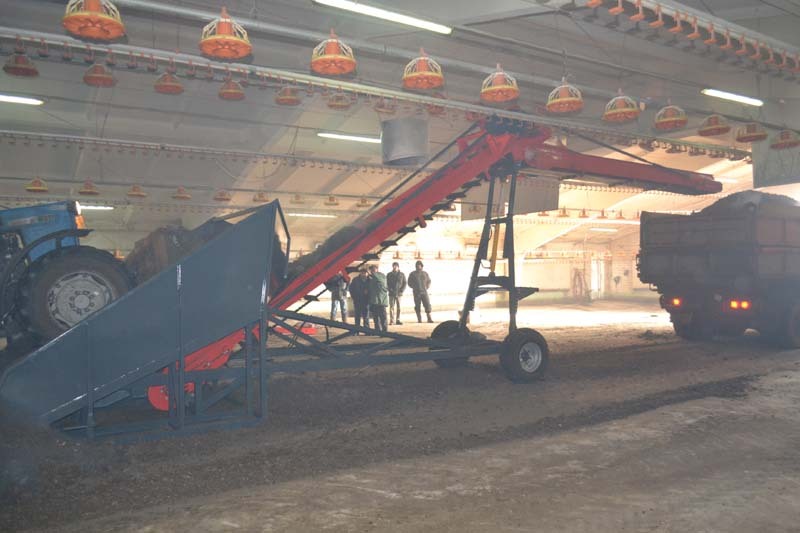 The NK-150 loader is intended for the cleaning of low industrial buildings and warehouses - the material loaded is pushed into a collector with a plow and the conveyor carries it onto a trailer or truck box. 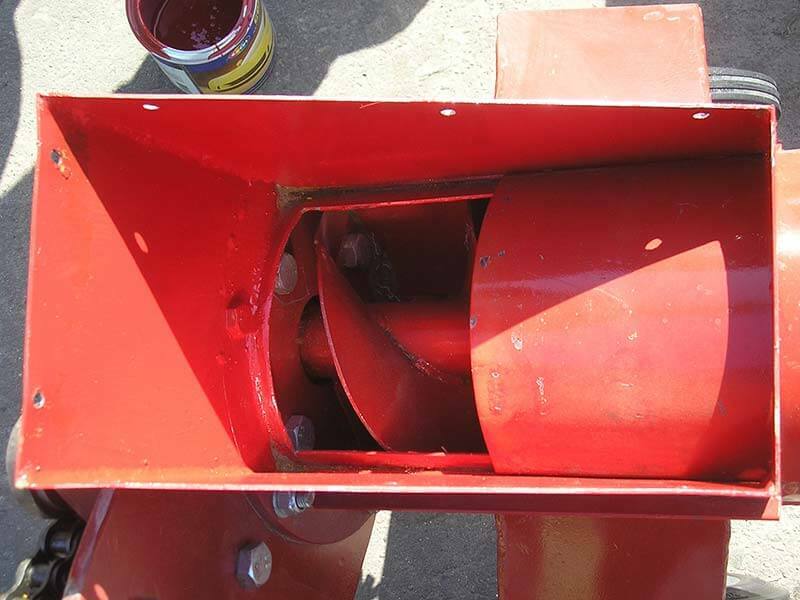 The device has 2 electric reducers (7.5 and 5.5 kW) and the discharging height (1820 - 3300 mm) is adjusted hydraulically.